I have done the Blue Mountains to Dubbo trip, you need 4 hours for the drive. But then you will also want at least a half day at the zoo. The ticket you buy gives you 2 days access, so you can go back again. You can put a destination in the where box, and trhen it allows you to plan a trip by adding to, from and via other destinations. I guess though an advantage of hiring the van is you can drive in the evening and night times as it does not matter when you arrive at a rest stop for night. Great Ocean Road – I recommend Bimbi Park Camp Ground at Otway NP, lots of Koalas in the trees right above your tent/camper. Melbourne, - ½ day may not do it justice, explore CBD, Fed Square, St.Kilda to get a feel for Melbourne. To have enough time you could skip the Dandenong Ranges. I love them, and there are some great caches, but I’m not sure about your Puffing Billy plan, my family went and only the 6yo was really thrilled. I agree with Happy Chappies, the Dandenongs are probably not a Must-Do considering your whole holiday. Airlie Beach/ Whitehaven: There are lots of different options, you lose time if you don’t plan ahead a) 3 day sailing cruise b) day trip cruise to Whitehaven (2-3 hours on the beach), plus stop at lookout and snorkeling stop c) stay over night and camp on Whitehaven beach to enjoy it without the crowds and the rush of the cruise schedule, seems perfect for a honey moon to me  Easy to make a Nat. Park reservation, but you need to organize your transfer (cost, time) and bring tent and gear. Nth of Cairns and even beyond Mossman is my favourite stretch along the East coast, rainforest meets tropical beach! Enjoy home made ice-cream at the Daintree Icecream Company….. Mossman Gorge is nice, but very crowded and touristy, you can get a similar scenery and less crowded at Wooroonooran NP. Glad to see you are not skipping Uluru, you would have regretted it. it is unique and so different to every thing else you will see, You can fly to Uluru directly if you are very short of time, but flights to Alice springs are cheaper. I enjoyed the drive from Alice Springs to Uluru/KataTjuta. Very relaxed driving compared to driving on the A1 along the coast, feel the spirit of the desert, Absolutely add Kings Canyon for a ½ day hike. We had 4 full days, it felt plenty, not rushed, could easily spend more time of course on some off-road drives. My husband didn’t want to go ‘all that way just to see a red rock’, but in the end joined us for 2 days and won’t stop telling people now how it was absolutely worth the trip. 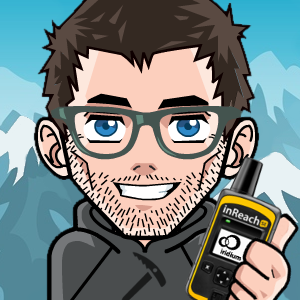 As for geocaching, chose where you want to visit then look for very few caches with good ratings (favorites). Australian T5 caches generally require a boat or a 4WD, there are almost no climbing and abseiling caches, so don’t bring any gear. T3 and T4 ratings usually mean a significant hike, steep terrain and/or long distance. As a rule of thumb, Australians are more cautious than eg. German cachers, so T-rating in Australia is slightly higher, just in case. Inner city caches are cheeky micro hides, away from the city caches are scarce, the hides are easier, the boxes larger, and the scenery is the reward. But remember caching itself needs time, don’t aim for too many caches, just a few to mark the highlights of your trip. Besides all the driving and caching, don’t underestimate the time needed simply to get fuel and food, the detours you have to take to go shopping, to find the camp ground, the time to wait for your food or a shuttle bus. It is ok to go at a high pace for a few days but not for 7 weeks in a row. The days without any driving will feel so gooood. Australia feels a lot safer than Europe, not sure about actual numbers, but we were never worried about our vehicles and belongings. And yes, it is expensive. Australians are very open, welcoming and friendly and they WILL organize an event for you if you let them know in advance! You’ll have a great time! Adding to the last post - about puffing billy, if you are doing it for the steam train trip check out ZigZag Rail in the Blue Mountains. If it was just for the scenery, you will see plenty of that everywhere else. We spent a week just along the Great Ocean Road a few years back. The general remarks are very similar to each other: make the journey shorter. We appreciate your advise and take it with us. Yesterday evening we made a revise plan which means skipped the part between Adelaide and Melbourne and the excursion to Alice Springs. Do you think this is better? To be honest I think it is a pretty ambitious plan. Personally I prefer a rough plan for a trip, changeable along the way as you might get to somewhere you like so stay a bit longer, or you don't like it and move on. Wilsons Promontery to Canberra at 700km will also be a long day driving on those roads there. We started just making a planning like we did, so that we can speak with you more in detail. So we provided something to get feedback. As we still are not sure if we want to do a trip with a van or a hotel we started to make a detailed plan. Ofcourse when we go by van, it is less hard, but still we have to have a global plan. We are really happy with your advise as it is for us the first time planning so far and so long. We have visited only Europe and one state in the US, so we used to civilized environments where you can drive 100 km/u on the highway. As we would like to see everything, it is limmited by time but also budget. We are still convinced of the fact we will visit Australia ONCE, so we would really to see the MUST SEES. Whatever you decide, I'm sure you'll love it! Just take it easy - it IS your honeymoon, after all - and don't try to squeeze too much in. You will see plenty of Australia. It will be wonderfully exciting and you will remember it always - even the bad bits of the trip will become good memories eventually! It will be very hot in summer, especially out in the country areas. But it can also get cold at night in the desert. Carry water at all times, and take the contact numbers of a few of us cachers with you, in case you run into any difficulties anywhere. btw: If you are going hiking or anything similar you can rent a PLB in most NSW police stations for free. I really think you should not skip The Great Ocean Rd. If you started at Melbourne, then went west to Warnnambool, and backtracked, or took an inland route to go slightly to the north, then east of Melbourne, to Wilsons Prom. The Great Ocean Rd really is fantastic, and I count it as one of the best roads we have travelled in Australia for scenery. The Great Ocean Road and the 12 Apostles is beautiful drive, and fairly unique. Kangaroo Is. is also great. Also consider if you are coming in January most coastal campsites are booked out 6 months or more in advance - whereas Feb all the schools have gone back and you will have little trouble just turning up and finding places. And just to confuse you a little more!! I think it's disappointing that you would drop the Great Ocean Road. But I agree that Adelaide to Cairns in that time is too much. I'd suggest you consider starting in the van from Sydney. Drop both South Australia and Victoria. That will give you more time to actually enjoy what you've come out to see. However I'd add Uluru back in. The plane trip out there will give a real appreciation for the size of Australia, and the country is very different to what you'll see for the rest of the trip. If your keen on the Western Plains zoo, then you should go. Whilst Australians might not find Dubbo that exciting, I think you'll enjoy seeing the wide open farmland. On the other hand, you could still start in Adelaide, and only drive to Brisbane. Fly to Cairns and Alice Springs. Ahh, the choices you'll now have to make! OK, so May/June is our winter. Given the fact you are looking at travelling from the very south of the Australian continent, almost to the very north, and then the centre, you should prepare for cool to neutral climates. You are looking at 0 deg C or possibly just below down south, in highland areas ( any mountains- Blue Mountains ect) and the desert around Uluru at night, and anywhere between say 10 deg C down south, and up to say 20 deg C up north during the day. We travelled to Uluru and all through the Northern Territory in May this year, and it got pretty cold at night. Cold for us may not equate to your cold, but low single figures deg C is cool for us. If you happen to follow my suggestion a few posts about heading west from Rockhampton to Emerald, theres a good chance we could meet and say Gday, unless I am working when you come through. To add a little more into the mix, if you decide to visit Uluru from Alice Springs as has been suggested, just be careful about the conditions that come with a hire car. I was up there for work recently and the hire company only allowed 100km per day with the vehicle (which was fine for me to drive from the airport to Alice Springs and get a few caches), but not for a drive to Uluru. I haven't been to Uluru but the accomodation (even camping) is quite expensive I believe - I think there are cheaper options to stay just outside the park if the budget is getting tight. It has also been a long time since I have driven to Cairns (about 20 years) but as you get further north in Queensland you will find some sections where there is very little between the major cities that are about 400km apart. North of Rockhampton the road goes inland around a military training area so there is little to see on that stretch until you get towards Mackay for example. As for the camping side of it, the obvious option is caravan parks if you need facilities and mains power. But there are also many National Parks good camping areas even though facilities may not include more than a "long drop" toilet. The advantage of these is they are either free or generally very cheap ($6 self registration for example) and you can also have a campfire (though you generally need to gather the wood outside the park). I would suggest at least one night bush camping like this on a clear night, if only because being away from the cities you are away from the light pollution and coming from Europe (or even major cities in Australia) you will simply not believe how many stars there are in the sky. The milky way becomes almost a solid band of light across the sky. The sky is even clearer if you do this inland rather than on the coast. Can I offer one hint for paying for some of the activities you wish to do, things like the Kuranda scenic railway, (and I would really suggest you do the railway up, and the Kuranda Skyrail on the return journey) and that is to see if you can pay for them prior to your departure. If you contact the various attractions via email, and ask if you can purchase gift vouchers for 2 people, that way its prepaid to enter, so less of a drain on your actual budget whilst here. Gift vouchers usually have a validity period of 12 months. Some things you MAY have to give a date that you intend to use them, basically make a booking, but if you explain your situation, you can usually need only give about a weeks notice to make a booking. I paid for a whole heap of activities on our trip to Tasmania this way, so we had a great trip, and didnt have to worry so much about the finances.